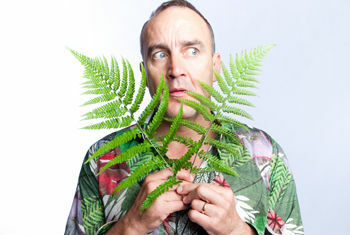 JIMEOIN is internationally acclaimed as one of live comedy’s masters. He left his Northern Irish home in Portstewart in the 1990’s and settled in Australia where he fell into his comedy career by chance after a friend dared him to get up at an open mic night in Sydney. His disarmingly relaxed and often nonsensical humour fast led him to becoming a household name. His Edinburgh fringe debut in 1993 completely sold out to rave reviews and he has returned most years ever since. JIMEOIN regularly performs extensive sell-out tours of Australia, UK and Ireland and has written and starred in 2 feature films. Don't miss your chance to see this award-winning star of TV shows including Live at the Apollo, Royal Variety Performance, John Bishop Show, CH4’s O2 Gala and Sunday Night at the Palladium – Live!